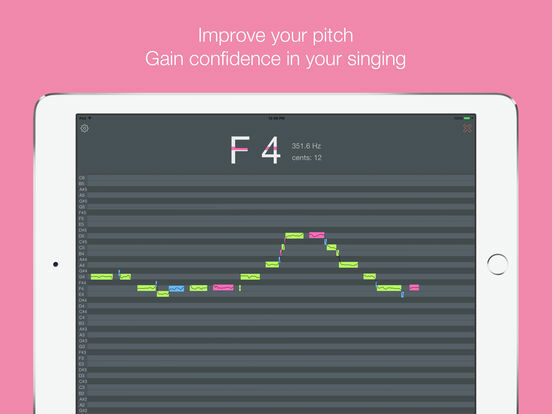 OnPitch is a new way for singers to track their pitch, with a stylish and informative interface. Have you ever wished you could stop worrying about hitting the right notes and just focus on delivering your best performance? Practicing with OnPitch helps you improve your pitch and gain confidence in your singing, so that when the time comes you're ready to merge with the music and forget about the technical details. OnPitch is NOT a karaoke app and does NOT include sample songs or exercises. It's an app that displays whatever YOU sing.